Determining who was at fault is one of the most important issues in the aftermath of a serious auto accident, truck accident, motorcycle accident, etc. It is important because determining who was at fault in an accident can greatly affect your compensation in a personal injury lawsuit. According to Florida law, in order to get compensation for an accident, you have to establish that the other party was at least partially negligent. The standard for negligence varies for different states. This is why you should get a competent attorney who understands the law for your state. Florida uses a system called pure comparative negligence. This means that the amount of compensation you get is determined by the degree of your negligence. For instance, if a jury determines that you were 30 percent responsible for an accident, your compensation would be reduced by 30 percent. So, for example, if a jury decides to award you $100,000 in damages and you were 30 percent negligent, you would receive $70,000 in damages. Florida adopted the system of comparative negligence in 1973. The reason for this is that in a lot of cases, the causes of the accident is not in black and white. 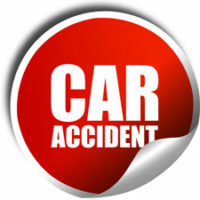 Accidents are caused by the actions and inactions of multiple parties. So, it is only fair that each party shoulders their own responsibility in causing the accident. The party that injured you had a duty of care: In car accidents, all drivers have a duty of care towards all other motorists. They are expected to act with care while using the road. The individual failed in that duty of care: This can be by failing to heed traffic laws, over speeding, texting and driving, driving while intoxicated, texting and driving, and so on. The failure in carrying out that duty of care caused your injury: You have to prove that the injuries you suffered are a result of the negligent act of the other party. The injury you suffered caused you to suffer harms and losses: What this means is that you suffered financial loss as a result of your injuries. If after an accident, you didn’t incur any expenses for treating your injury, then you can’t have a successful claim. You need to establish the losses you suffered as a result of the negligent act. Proving who was at fault in an accident requires a thorough investigation of the accident scene, collecting evidence, and effectively presenting that evidence to a judge and jury. This is where a lawyer can prove to be invaluable. They can immediately go to work for you to see if there is surveillance camera footage from the accident, they can order the police accident report, contact witnesses, review your medical records, and so forth. The lawyers at the Pendas Law Firm are well-versed in Florida law and know how to effectively present a case to a jury. Contact our office today for a free consultation. The firm represents clients in the Fort Lauderdale, Tampa, Orlando, Fort Myers, Jacksonville, West Palm Beach, Daytona Beach and Bradenton areas.